Before starting, pull out a handful of marshmallows from the Lucky Charms to use for later. 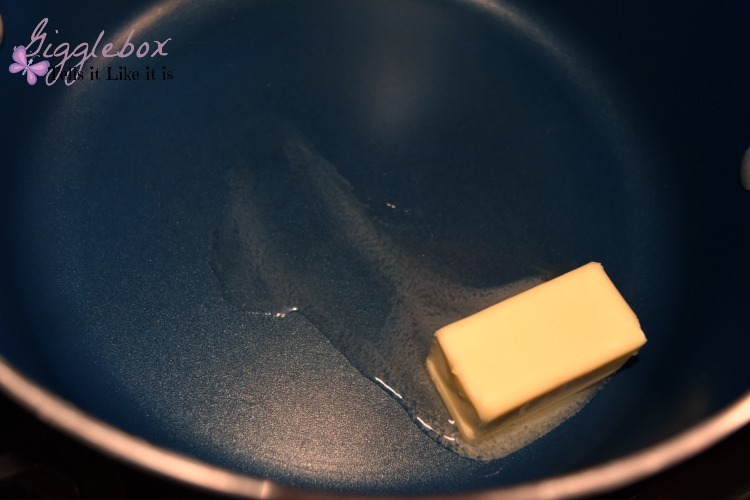 You'll want to first melt the butter. Add the whole bag of marshmallows to your melted butter. 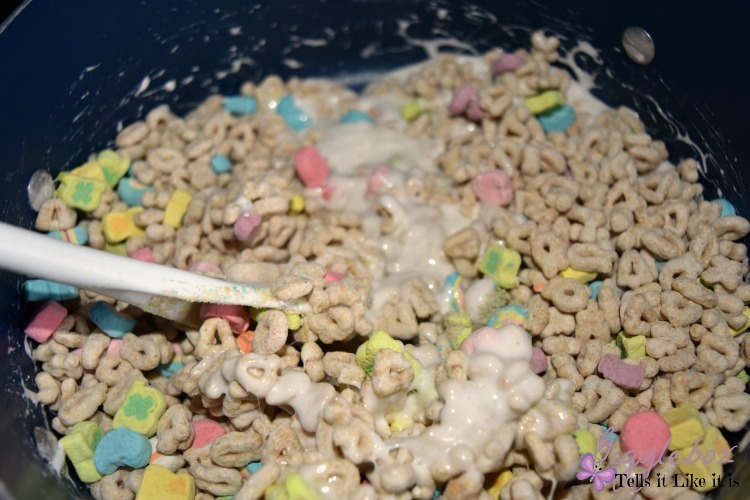 Stir until marshmallows are completely melted. 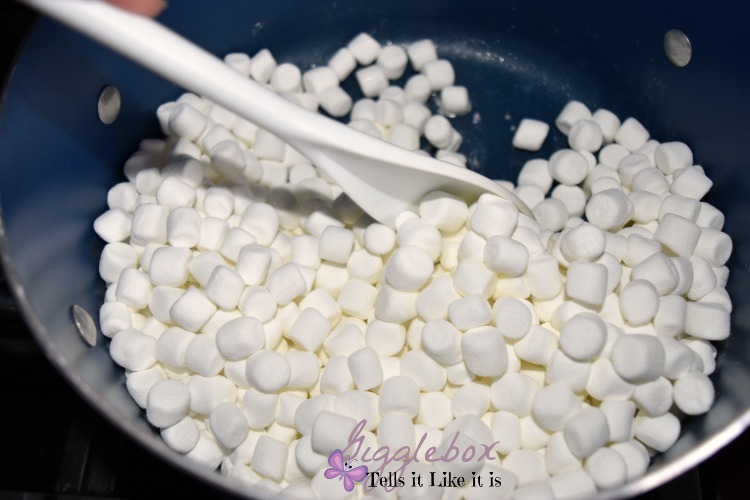 Once marshmallows are melted turn off the heat. 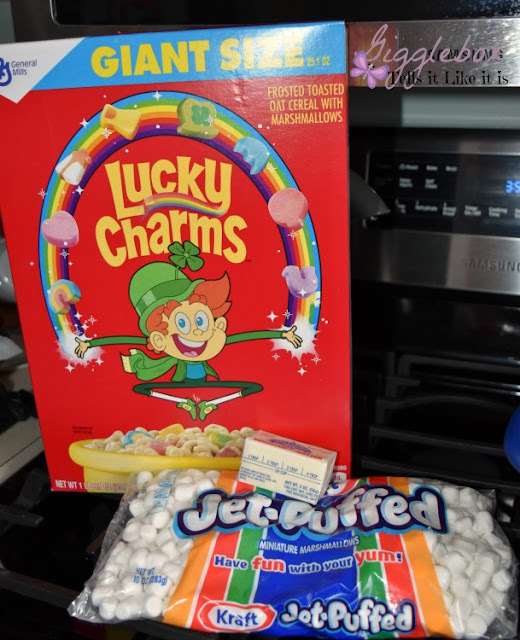 Add in the Lucky Charms. 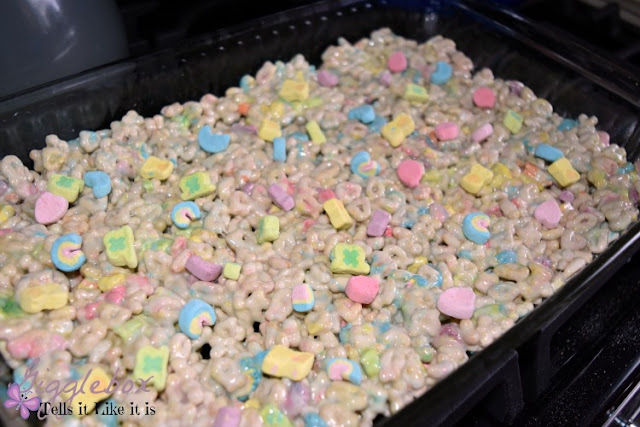 Stir until the Lucky Charms are evenly coated with the melted marshmallows. 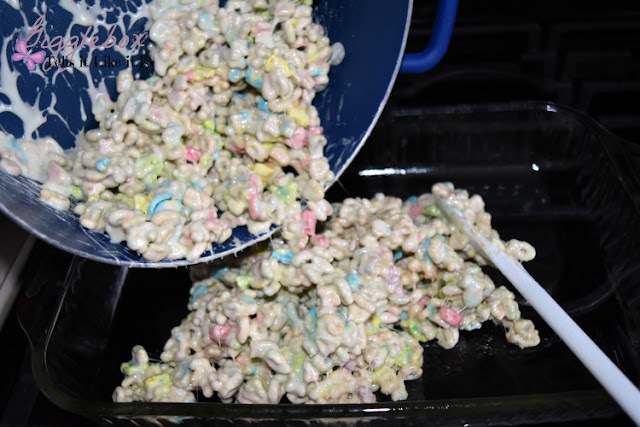 Pour the Lucky Charm mixture into a greased pan. Evenly distribute the mixture in the pan. 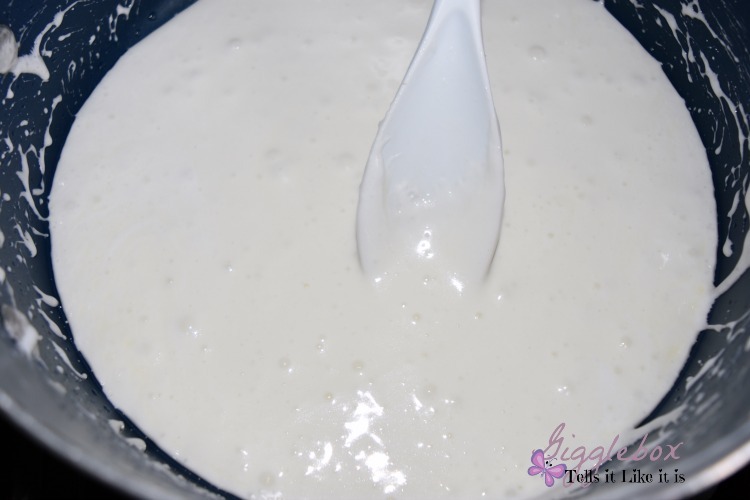 You can use parchment paper. 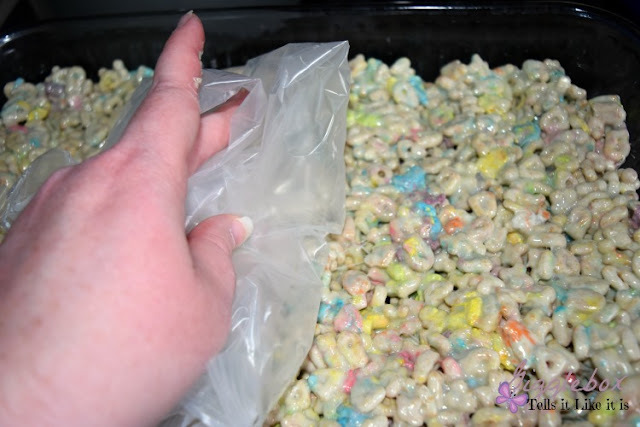 I didn't have any and ended up using the bag the cereal was in since I had finished the box. Worked just as well. 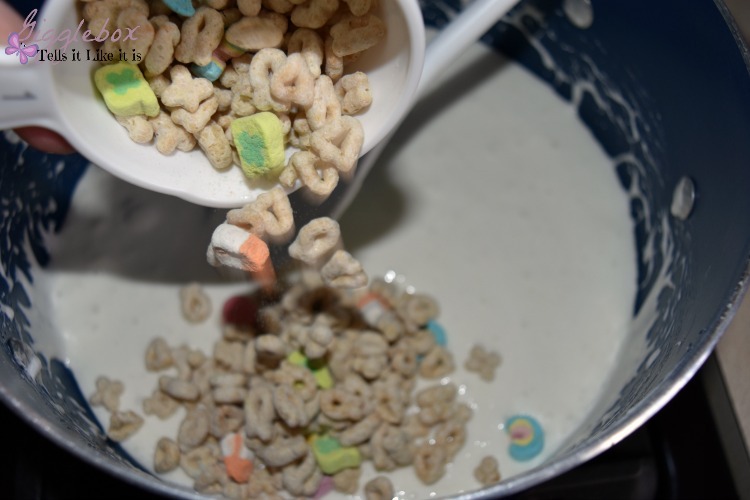 With the Lucky Charm marshmallows you set aside sprinkle them on top of your mixture and let cool. Cut into squares or bars and enjoy! 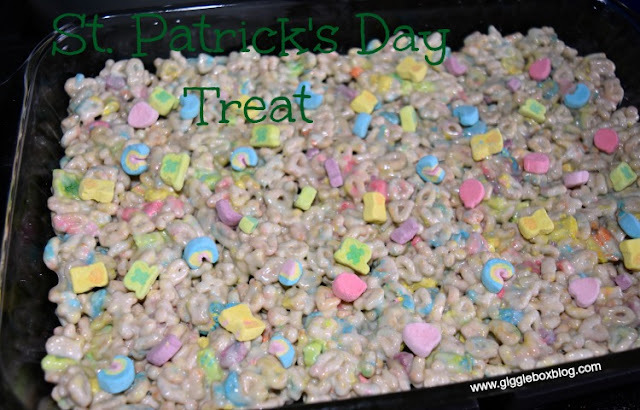 This is sure to be a hit on St. Patrick's Day.